Shiva and Shartika Naicker are treated to a song by Baverstock Oaks School kids and their teacher Robert Tuli. 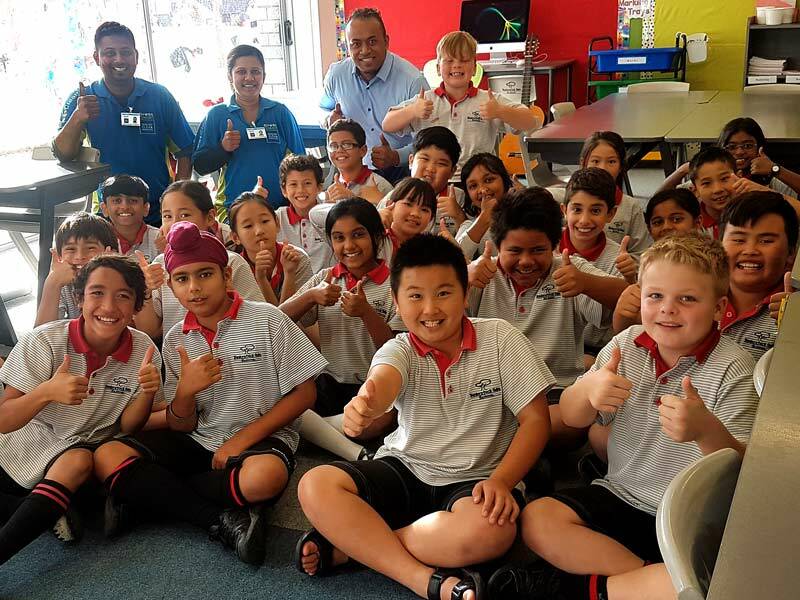 A unique musical treat was on the cards for two CrestClean franchisees when they popped into an Auckland school to hand out competition prizes. Shiva and Shartika Naicker had arrived at Baverstock Oaks School laden with pizza for Crest’s Cleanest Classroom Award winners. But the youngsters had a big surprise instore for their cleaners. The pizza lunch had to wait as they broke out into song, treating Shiva and Shartika to a specially-written song to thank them. The Room 12 kids, accompanied on guitar by teacher Robert Tuli, were in total harmony with their cleaning song for the CrestClean couple. Shiva and Shartika have made a big impression with staff and pupils at the East Auckland school. The school’s Executive Officer Frances Fraser say the couple do an outstanding job there. Frances says Shiva and Shartika are always willing to do their best and they keep in touch and communicate well. “They are very good at doing their job – but they are also not afraid to give us feedback on things that we can do better. “They also take feedback really well and that’s important to us,” she added. CrestClean’s Cleanest Classroom competitions are held at many of the schools throughout New Zealand that are cleaned by Crest franchisees. The classroom that is kept the cleanest in the school is awarded a certificate and a prize at the end of the term. At Baverstock Oaks School, Room 12 youngsters had been judged to have the cleanest classroom every week so far this year, said Frances. The kids have been a shining example of how to leave their room neat and tidy for Crest’s cleaners. “The room is as every cleaner would love to see it. The floors are cleared, it’s not a mess and it’s ready for them to go in, do their vacuuming, do their dusting, do what they need to do and it’s done,” she added. Robert, their teacher was a role model for the kids, she added, and the Cleanest Classroom competition helped to reinforce important lessons for youngster. “Even if he’s not there the kids know what they’ve got to do. Shiva says working at the school is a pleasure. He’d noticed a big difference in his work since the Cleanest Classroom competition was introduced. The winning classroom was outstanding, he said. “There’s not a single pen or pencil on the floor. I don’t have to begin by picking up stuff from the floor. The extra time he and Shartika save is spent on other cleaning work usually carried out at the end of each school term. Shiva said hearing the kids sing left him and his wife lost for words. “We took in the pizza and the teacher told us to take a seat. He then picked up his guitar and the kids began singing. Getting good feedback from customers was all part of running a successful business – but a musical “thank you’’ from the kids was a first, he added. 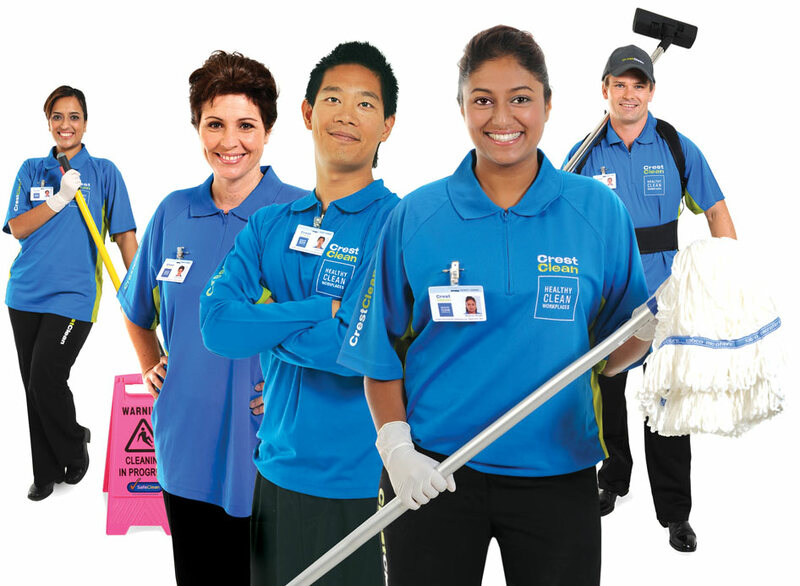 Viky Narayan, CrestClean’s Regional Manager South and East Auckland, said Shiva and Shartika are hardworking franchisees and have a good attention to detail. “They are very well liked by their customers. If the school has a gala day they will try to be involved with it and freely give up their own time to help. “Since we’ve introduced the Cleanest Classroom Awards at the school we have seen a big change in terms of tidiness and cleanliness.